Ethereum Classic is an open-source, public, blockchain-based distributed computing platform featuring smart contract (scripting) functionality. It provides a decentralized Turing-complete virtual machine, the Ethereum Virtual Machine (EVM), which can execute scripts using an international network of public nodes. 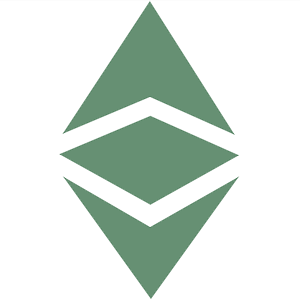 Ethereum Classic also provides a value token called “classic ether”, which can be transferred between participants, stored in a cryptocurrency wallet and is used to compensate participant nodes for computations performed. The classic ether token is traded on cryptocurrency exchanges under the ticker symbol ETC. Gas, an internal transaction pricing mechanism, is used to prevent spam on the network and allocate resources proportionally to the incentive offered by the request. In May 2016, a venture capital fund called The DAO built on Ethereum raised around $168 million, with the intention of investing in projects using smart contracts. In the same month a paper was released detailing security vulnerabilities with The DAO that could allow ether to be stolen. In June, 3.6 million Ether (approximately $50 million USD) was taken from accounts in The DAO and moved to another account without the owners’ consent, exploiting one of the vulnerabilities that had been raised in May. Members of The DAO and the Ethereum community debated what actions, if any, should occur to resolve the situation.